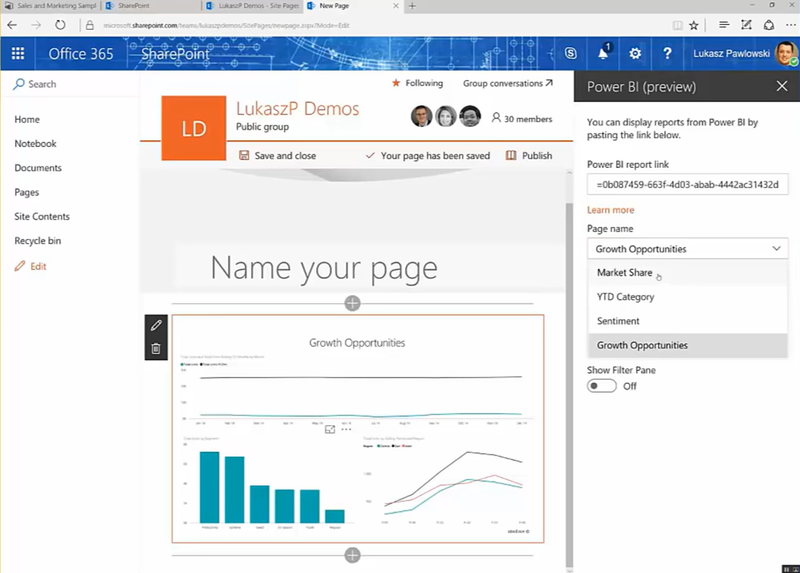 Earlier this month we released the Power BI report web part for SharePoint Online. This is an out-of-the-box web part for SharePoint Online that enables SharePoint authors to embed Power BI reports directly in SharePoint Online pages with no code required. The way the feature works is simple. Follow the process below to use this feature. To finish, save and publish your page! The user’s account must have access to both the SharePoint site and the Power BI site. The user’s security context is used to load the data from Power BI. Only data that the user has access to is displayed. Note: The Power BI report web part requires all the viewers to have a Power BI Pro license.